Cao Bang (VNS/VNA) - Phia Thap is a small community of 50 homes in the northern border province of Cao Bang. Besides agriculture, the tiny mountain hamlet is well-known for making incense, an ancient trade passed down for hundreds of years. Everyone in the community, from grandmothers to children, take pride in the trade. 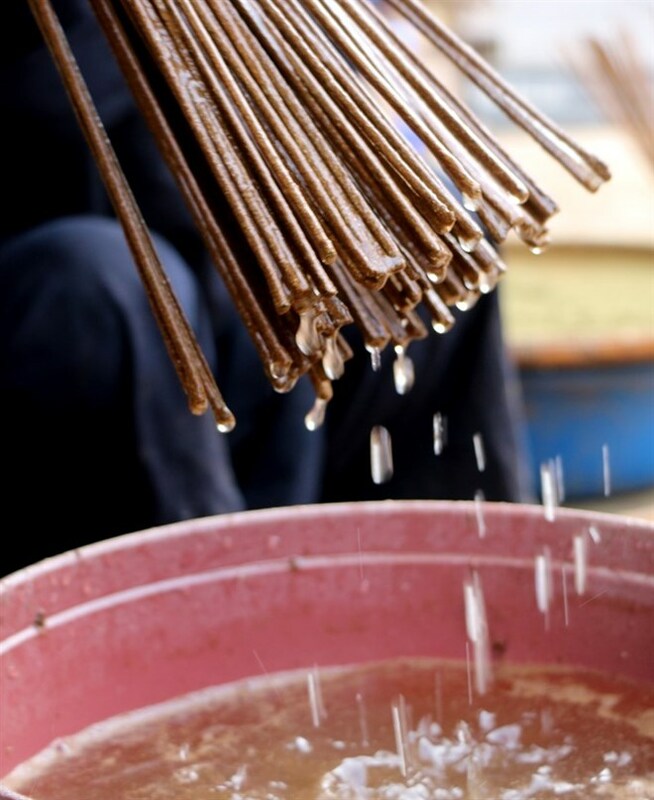 Phia Thap incense is a popular brand in this part of the country. The incense is hand-made from 100 percent natural ingredients. The sticks are made from split bamboo. Locals collect special herbs in the mountains and grind them to make a powder. They later add it to pine powder and add colour. The final step is to put the wet incense out under the sun to dry. The incense provides a subtle but distinctively pleasant aroma, which retains the fragrance smell of agarwood. With the development of community-based tourism in the region in recent years, the tiny village of Phia Thap has been a popular destination among many domestic and international tourists.